I bought this phone at 14000 amd I am satisfied with the product and price also . With this much screen size of 5.5 inch I can do whatever I want. Processing speed is very good and I just loved it. Brought this phone less than a month ago (late Feb 2017) from Flipkart sale for Rs. 11999. Was actually looking for the 4GB RAM variant but that went out of stock in minutes, so settled for this. As a modest and non-gaming phone user, this phone fits my needs well. Overall, I am satisfied with the product but it does have a few downsides too. Phenomenal battery. Lasts 50hrs easily in 100% charge while I use music, whatsapp, FB, browsing, Saavn and few other apps everyday. Lovely back-camera and panorama mode. Very clear images. Body is brilliant and sized well, similar to OnePlus 3. Super smooth, never hangs (so far). Excellent speakers and sound quality. No screen protection included, need to buy separately. MIUI is not the best for me, having used other Android phones before. All apps do not close in one click, somehow background apps need to be individually closed down. Front-camera is slightly unclear and does not support flash. 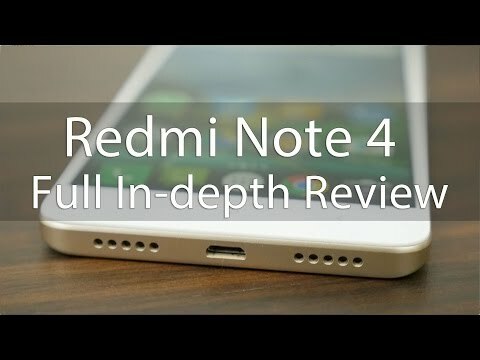 Redmi Note 4 from Xiaomi is a top phone. I bought this phone recently and i am quite impressed with its design and processing speed. Buying a mobile phone is like investing money and if you don&apos;t want to waste your money then Redmi Note 4 should be your new phone. MIUI the built in ROM lags at some time. If you are someone who wants a pure android experience then this phone would disappoint you. Rooting this phone is a tedious job. 58 Pricebaba users have written their experience with Xiaomi Redmi Note 4 32GB. If you own Xiaomi Redmi Note 4 32GB, please do leave your feedback too. Lowest price of Xiaomi Redmi Note 4 32GB price in India starts at Rs. 8,999 Xiaomi Redmi Note 4 32GB is available on Flipkart at Rs. 8,999. Prices updated on 20th April 2019. The Redmi Note 4 sports a 5.5-inch Full HD IPS LCD display with a resolution of 1920 x 1080 pixels. It is powered by one of the most power efficient processors, the Snapdragon 625. This particular Redmi Note 4 comes with 3GB of RAM and 32GB of inbuilt storage which is further expandable up to 128GB with a MicroSD card.